April already??? 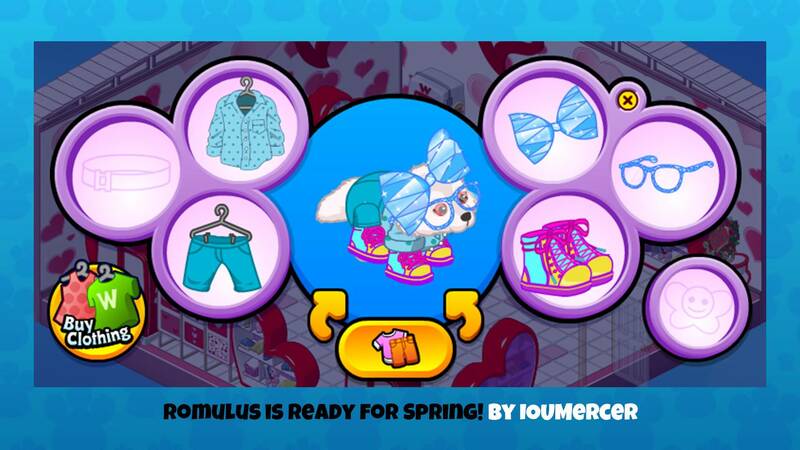 You know what that means – Webkinz Day is coming up! I’m so excited about all the fun festivities that I am already trying on fabulous new outfits, including this gorgeous Spring Flower Gown. It will be available in the 2019 Spring Clothing Mystery Bag, coming soon to Ganz eStore. 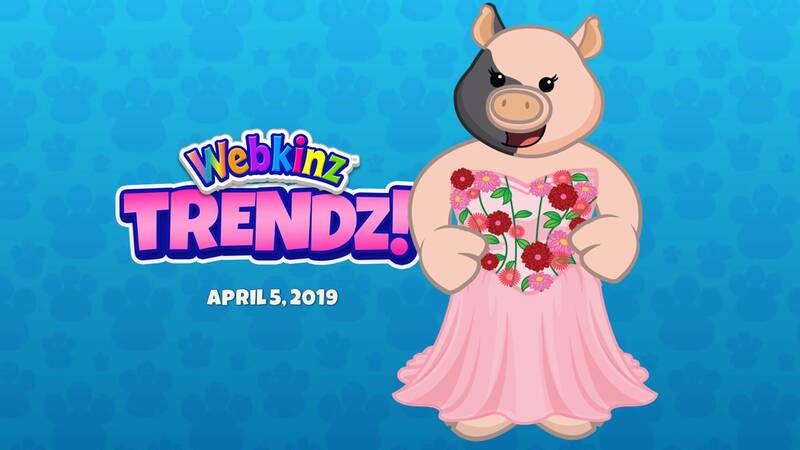 Mandy Webkinz you look absolutely stunning!!!! Good job, everyone! I love all the big hair bows! Everyone’s outfits look great! Loving the new mystery outfits and different combos people are making with them. 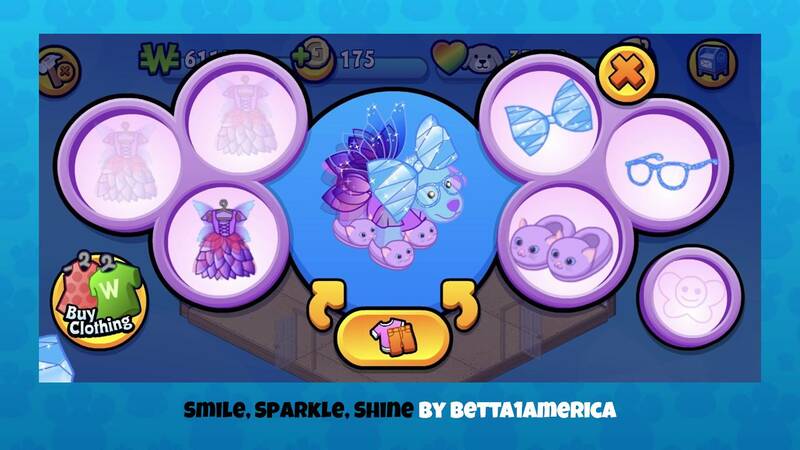 Also, thanks for featuring my pet Pepper! Ooh la la, Mandy (and Adrianna!) you look mahvelous!! @Darlabell, are all of those fantastically coordinated pieces from the 2019 Spring ? clothing bags? If so, congrats on getting all of those beautiful pieces! Mandy, you seem to have an underlying theme this week. 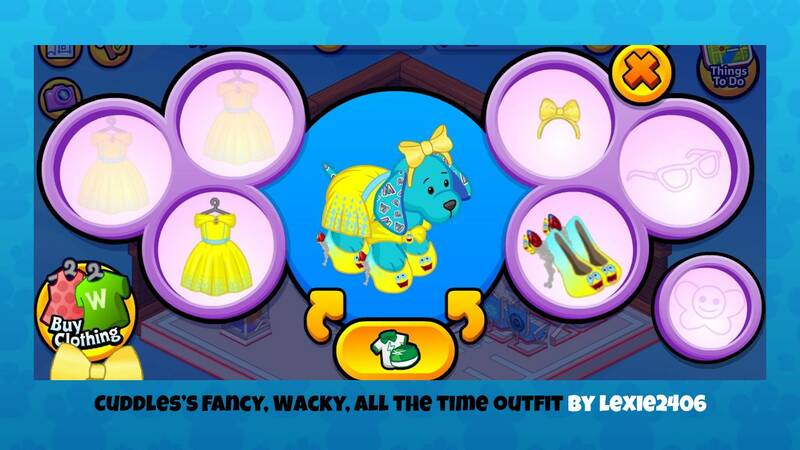 All of the featured fashions are of female webbies all dolled up in their party best! I can just see all of these gorgeous pets in their hats, headbands and bows sitting together enjoying a high tea! Those kitten slippers are just too cute! 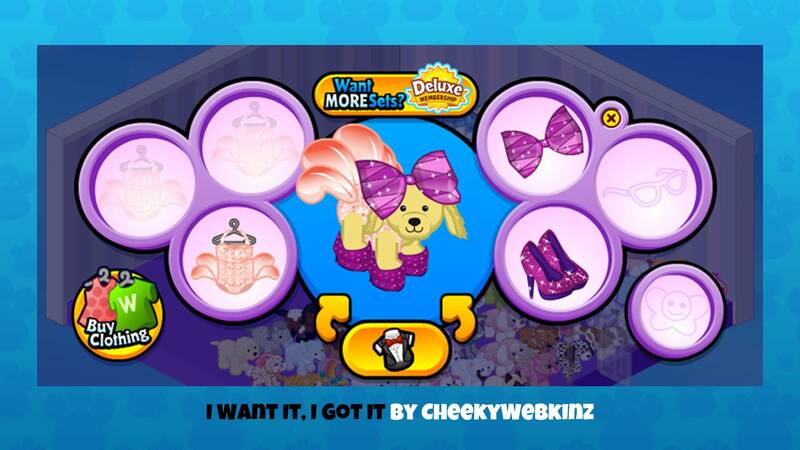 And @CheekyWebkinz, that’s a lot of webbies in your room! I estimate about 60. That’s an interesting way to display them! Did having all of those pets in one room make the game lag for you? Once again, fabulous job fashionistas! My kitten is Catori, its actually my Lil Purple Spring Bunny that is Lilac lol. I’m going on 40 webbies. When I have tried to have 10 or so in my gym, everything moves really slowly. I noticed that your in-room webbies are showing off their natural beauty. 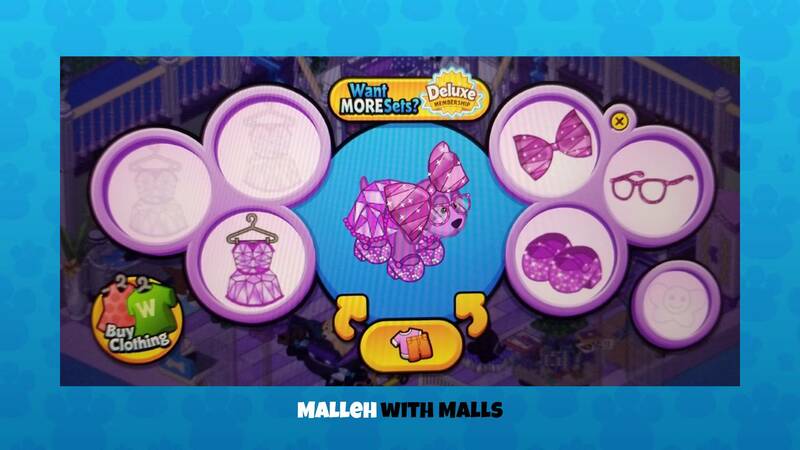 Do you only design outfits for special occasions, like being featured on Trendz? 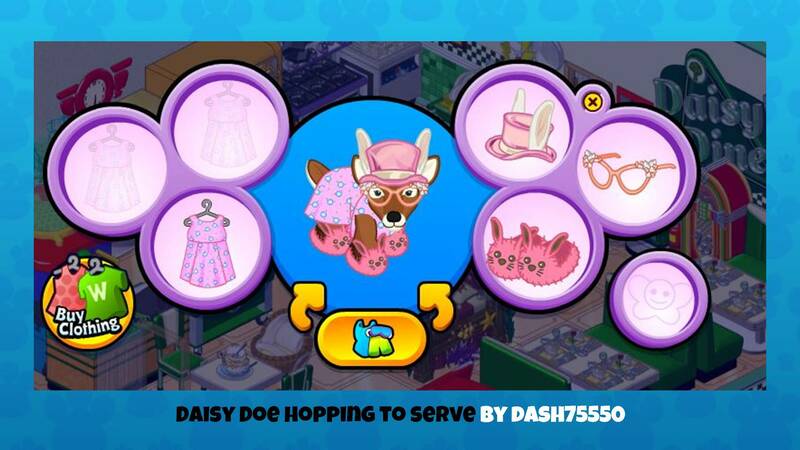 The more webbies I get and the more cool clothing I get from events and such, the harder it gets to keep my webbies well dressed. Too many choices. It makes my head spin! LOL! 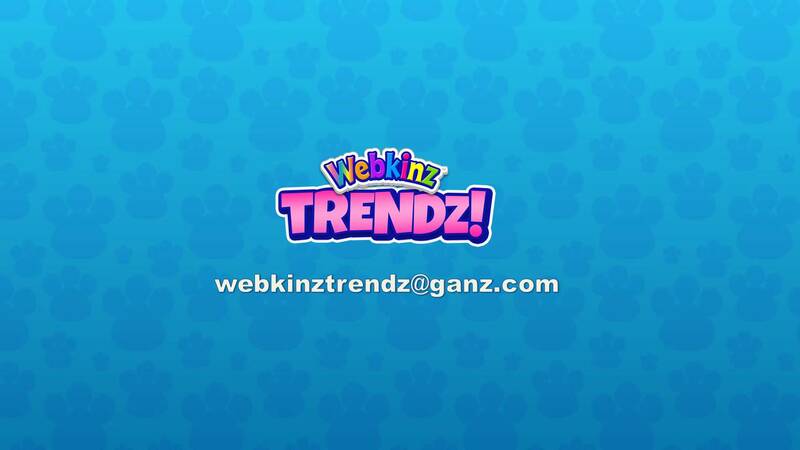 Mandy Webkinz Thank you so much for featuring Skylar in this week’s Trendz!!!!!!! 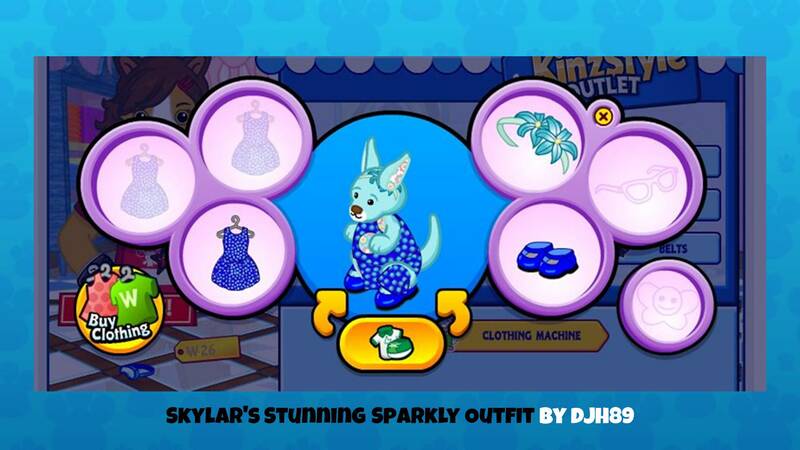 Skylar looks adorable and sparkly! That headband matches her complexion beautifully! I never noticed before, but are kangaroos always upright? I had thought that only hamsters and snowmen stood upright. 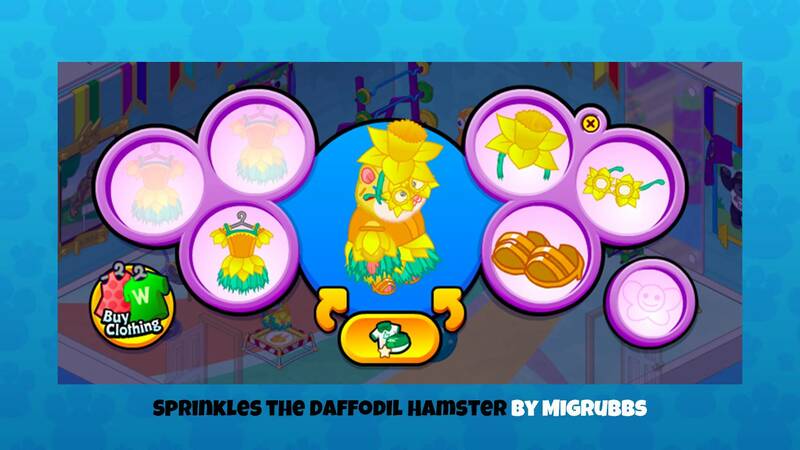 (I guess chickens too – now I’m going to have to go through the entire Kinzapedia to discover which pets are upright!) Thanks for opening my eyes! You’re Welcome Beckinz8!!!!! 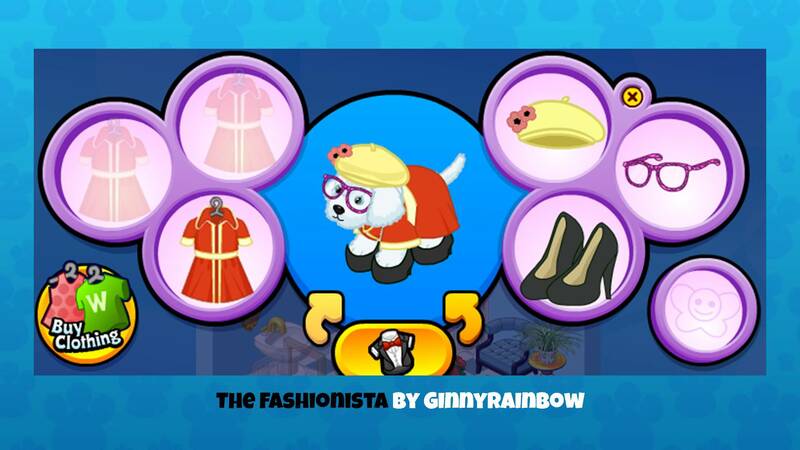 I remember in an early Trendz episode Mandy Webkinz had mentioned how certain clothing types look better on some pets depending on their shapes and patterns on the pet’s fur and or the clothing you use. I have to agree. 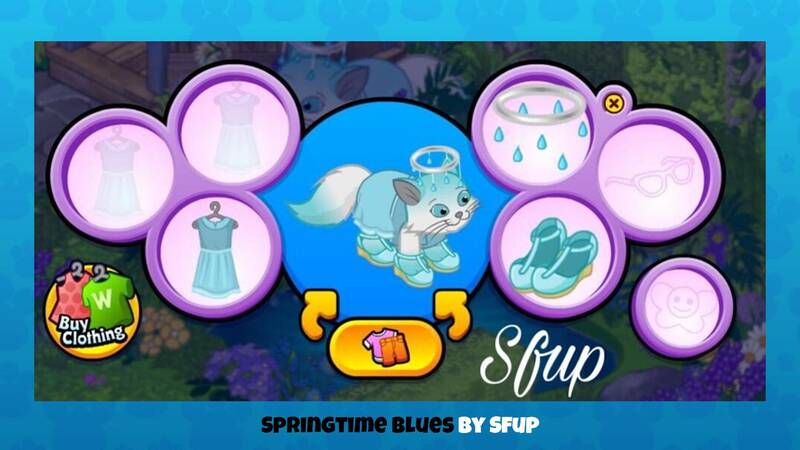 Since quite a few of the Webkinz pets have cool designs in their fur I try to maintain a balance of colors and patterns on the pets and their outfits. When I’m putting together a trend look I try to create fun, pretty, and silly looks without the trend being too busy in terms of patterns on pets and clothes. I also try to coordinate colors on the clothing and my pets. 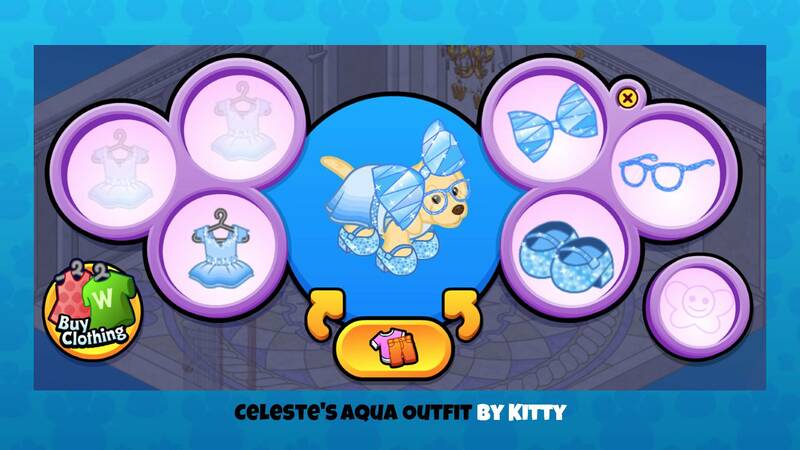 I experiment with different clothing combinations until I get them just right. I guess I’m very fussy. Another thing I think dresses usually look the best on upright pets. 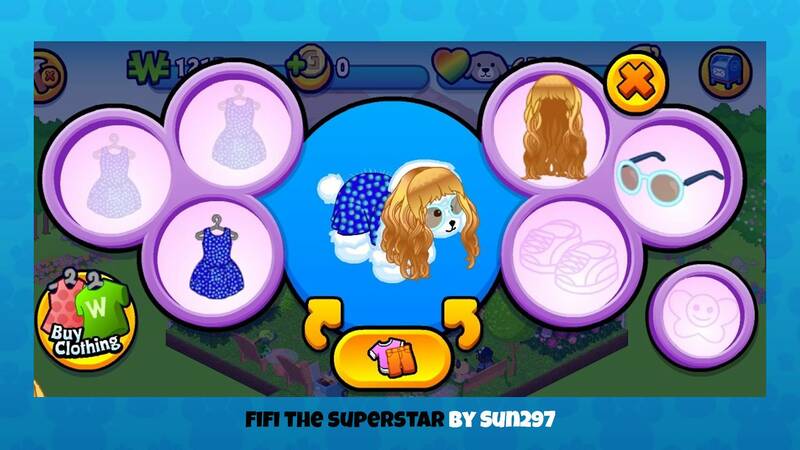 Also wigs like the clown one look great on pets like the seal. Beckinz8 PS I meant to say thank you too.